It’s believed they dropped their phone and fell down while leaning over to retrieve it. 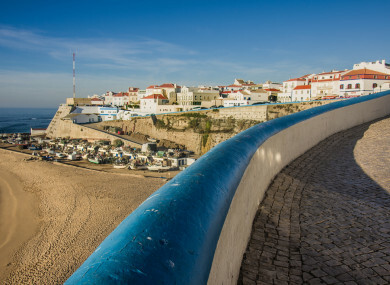 A COUPLE FELL to their death from a wall overlooking a popular beach in Portugal, apparently losing their balance after taking a selfie. It happened at the coastal town of Ericeira, which is ringed by cliffs and a 40-metre high wall. The couple are believed to be from Britain and Australia. There are numerous reports of their ages, Portugal’s Correio da Manhã newspaper reports that the woman was 30 and the man was 40. “Everything seems to indicate that the fall happened when they were probably trying to take a selfie. It seems they dropped their mobile phone and fell down while leaning over to retrieve it. Another local paper, Jornal de Notícias, said fishermen came across the bodies about 6.30am. Email “Couple fall to death taking selfie on 40-metre wall in Portugal”. Feedback on “Couple fall to death taking selfie on 40-metre wall in Portugal”.